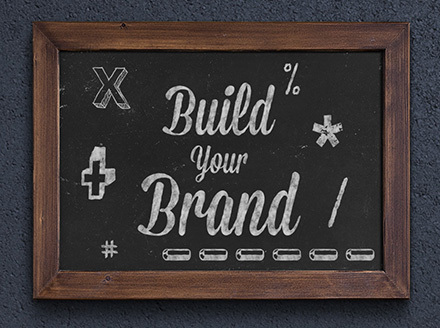 Stand out from everyone else, build your brand! Your brand is far more than just a fancy logo and nice website, it is the entire experience people have with your company or service, the consistency and in a lot of cases, the emotional attachment. Your brand represents what you stand for and separates you from the competition, but keeping competitive awareness helps build the overall value of the brand. You can always learn from competitors which helps tailor your brand agenda to your services and goals. Our brand strategists can help build your brand from the ground up or help elevate your current brand to the next level. Strong brand quality starts with the logo and website and builds upon a strong marketing campaign, promotional materials and public relations including social media, e-mail campaigns and more. Did you know that brands with emotional ties tend to connect to people better? Does your brand bring people together? Does the service help connect people? People have a natural desire to build relationships and feel connected to others and brands, connect with them for the maximum brand quality. Progression and flexibility is essential to stay relevant in this fast changing world. Get creative with your campaigns, stay ahead of the competition. While progression and flexibility may be essential, consistency is too. Set the standard for your brand so that the end result is consistent, even if the approach or delivery progresses or changes.